Following years of financial struggles and narrowly avoided closures, Interplayers Theatre has reached a point where it can no longer can continue. Its board of directors has concluded several weeks of negotiations by signing a deal that will see Interplayers merge with Lake City Playhouse. Once the documents are finalized at the state level, the 34-year-old professional theater will be officially subsumed by the 54-year-old Coeur d'Alene community theater led by George Green. "On July 4, our board met with the purpose of closing the theater for financial reasons," says Michael Bowen, president of Interplayers' board of directors. "We [thought] 'Maybe we have to close, maybe we have to declare bankruptcy.'" As a third alternative, board member Ryan Oelrich suggested approaching Lake City Playhouse, the theater that Green salvaged and revitalized four years ago, "to see if they would be prepared for some type of partnership or merger." "It turns out that Lake City Playhouse had in fact had a couple of board meetings for the purpose of planning for what happens when Interplayers folds. They saw it coming. They were ready." The terms of the resulting merger are fairly straightforward. Lake City Playhouse will assume all Interplayers' assets and liabilities, as well as operational control of the theater. A significant portion of those liabilities is approximately $92,000 in outstanding debt. "I'll put a big '-ish' on that figure," says Green. "We've come to an agreement on what the known liabilities are. I anticipate that there will be some future things, and that's not uncommon in this type of situation." This wasn't the first time Interplayers found itself in dire straits. Two years ago, the theater was saved by a lease renegotiation with landlord Jerry Dicker, owner of GVD Commercial Properties. At the time, Interplayers Executive Director Pamela Brown claimed that Interplayers was "debt-free" and could "start from zero." But the arrow quickly moved in the wrong direction on the number line. One year later, Interplayers said its 2013-14 season was contingent on its ability to solicit $150,000, some of which was to be used to cover legal fees associated with erstwhile Artistic Director Reed McColm's work visa. The theater raised only about half that amount but persevered nevertheless. How it managed to do so is a matter of some contention. Bowen says that there was "lack of financial transparency" on the part of the executive staff, and the volunteer board of directors as a group didn't thoroughly audit the "reams of paper" they were given for inspection. "When we appointed a finance committee of two of our board members to really investigate the finances in late June, it became evident that we were further behind on payments to vendors," says Bowen. "And more seriously, we were tens of thousands of dollars behind on state and federal payroll tax. I wish we'd realized the depth of our financial problems a year ago or we might've been able to change things." However, the idea of a merger isn't a new one. 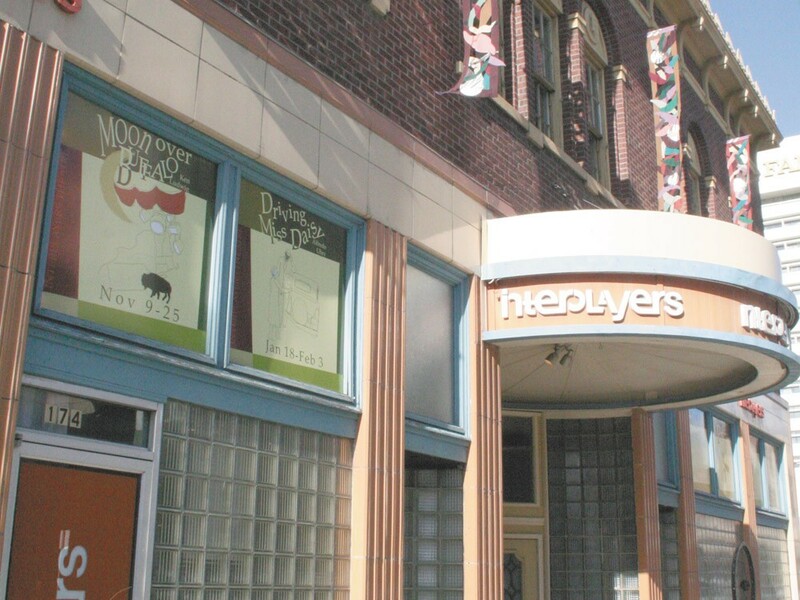 A decade ago, after months of hand-wringing over red ink, Interplayers considered joining forces with Actors Repertory Theater of the Inland Northwest (ARt). (Incidentally, ARt was led by Michael Weaver, who recently stepped down as Interplayers' artistic director for the second time under such circumstances.) The two theater groups were ultimately unable to finalize the deal. In what would become a recurring theme, Interplayers restructured just enough to move forward alone. Bowen says Lake City Playhouse — and more specifically, Green — is "the best hope and the only hope we have" to realize the board's primary goal of ensuring that professional theater continues in the same location. "His passion is for the theater. He's a go-getter. He's effective. And he has rescued that theater." Despite the merger, little will change outwardly in the near term. Lake City Playhouse will carry on "business as usual," according to Green, as will Interplayers' season opener, Broadway Bound. The second-slot production, Hound of the Baskervilles, will likely be replaced "with a viable option" on account of insufficient rehearsal time and unpaid royalties. Both Bowen and Green point out that the organizations' two months of discussions covered more abstract topics that could affect the venture. "How is it going to be perceived to have a community theater merge and be the surviving entity of a professional organization? How is the public, how are the artists going to feel about that?" asks Green. "But we need to be clear that we're operating a business over here. The only difference between a community theater as a business and a professional theater as a business is that a professional theater is paying its performers on stage. We're both 501(c)(3) nonprofit organizations, and that's why this merger is allowed to happen." "The goal is to have professional theater in the [N Howard Street] location," he says. "I just want to make sure that both the Spokane and Coeur d'Alene communities understand that this is being done in effort to create something positive for artists and patrons alike." Jerry Dicker saves Spokane's Interplayers Theater from debt.